Israel Wayne: Curt & Sandra Lovelace, in what year did you begin homeschooling, and what was your initial reason to start home educating? Curt & Sandra Lovelace: I say we began homeschooling in 1978 at the birth of our first child. When we chose to avoid the compulsory attendance statute in Massachusetts we did so in light of a joke we’d always made as unrepentant public school teachers. “If we ever have children (which we didn’t plan to do), we’ll teach them ourselves since we could do a better job easier and faster.” As it turns out, God arranged our path along those very lines. Curt & Sandra Lovelace: When we started homeschooling there was opposition on every side. Family stood in opposition. Government schools didn’t know how to respond to us, and when they did it was with a superior attitude. Publishers only sold educational materials to schools. People looked at us as if we had two heads. There were many legal challenges in our state as well as across the country. Parents were arrested and children taken away. Supportive pastors were taken to jail and the doors of their churches were chained shut. Nobody shared another family’s contact information without first getting their permission. Every household had an exit plan in case the pressure became too great. Curt & Sandra Lovelace: We offered encouragement to everyone God brought to us. Sandra spoke on the phone and met with moms who were struggling. We developed several support groups to meet various needs and served on our state organization. We were appointed to a committee in our town that updated an illegal homeschool policy. Sandra accompanied parents to school committee meetings. She took our children to court proceedings to support other families. We participated in national homeschool conferences. Eventually the Lord used all this exposure and experience for us to serve international homeschool families. 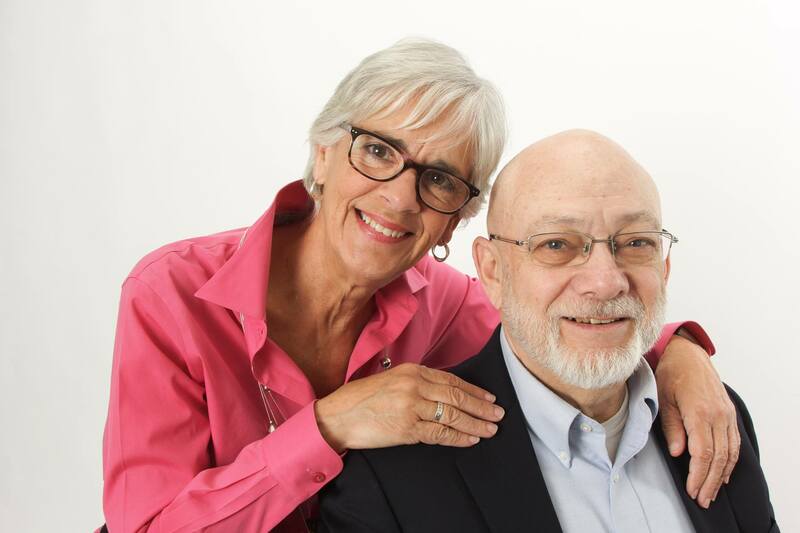 Curt & Sandra Lovelace: I wish there had been more awareness that homeschooling cannot guarantee smooth sailing through every phase of family life, to be accompanied by candid discussions about how to respond to the storms. If the Lord granted another round, I would leave more in His hands. Israel Wayne: What trends have you seen in homeschooling today that bother you? Do you see new things about homeschooling today that you appreciate? Curt & Sandra Lovelace: I’m concerned about the enthusiasm for co-ops as opposed to support groups and the worry about being seen as counter-cultural. I’m also waiting to see how the larger community develops with fewer full-time state organizations. I appreciate the larger dialogue and mutual support that can happen because of the social media connections across the country and globe. Curt & Sandra Lovelace: Dear Newbies, please take time to consider why you’re undertaking the homeschool lifestyle. Prepare yourselves to overcome the challenges and enjoy the rewards by God’s grace. Then stay the course. Curt & Sandra Lovelace: We continue our active life of service. Our grandchildren are being homeschooled. The oldest, a senior at home, is co-captain of the winning soccer team at his local high school. Such participation is a privilege we sought for his mother in the early 1990s. We were eventually successful in our efforts, but not until after she’d graduated. We moved to Europe to serve our homeschool friends, returning to Maine last year where we continue the same. Curt & Sandra Lovelace: We don’t believe that homeschooling is necessarily God’s plan for every family. We encourage every parent that wonders if it’s for them to take those wonderings to the One who will lead them aright. They’re usually more capable than they think. We found the blessings and rewards well worth the commitment and effort. Children in Church: Nurturing Hearts of Worship is our joint manuscript. We can be found at http://www.lifeworkforum.org , http://childreninchurch.com , http://jcurtislovelace.com , and http://sandraallenlovelace.com , on Twitter at https://twitter.com/DocCurt , https://twitter.com , or on facebook at https://www.facebook.com/Lifework.Forum , https://www.facebook.com/childreninchurch , https://www.facebook.com/curt.lovelace?fref=ts and https://www.facebook.com/sandra.lovelace.5 , or LinkedIn as Curt Lovelace and Sandra Allen Lovelace.